Residents of Illinois love their sports teams, even if state laws prohibit them from placing wagers. And while it’s impossible to walk into a licensed bookmaker and take advantage of a promising line, that doesn’t stop millions of dollars from changing hands each year via the outcome of various athletic competitions. This article is meant to give a summary of sports betting in Illinois, from the legality of the situation to the various games one can wager on. Just keep in mind that I’m not a lawyer, so anyone seeking actual legal advice is urged to visit with a trained professional. Illinois and professional sports are almost synonymous, especially when it comes to Chicago. The Windy City is home to several major sports franchises, each with a storied tradition of winning. Athletic competition is also thriving in the smaller cities and towns, and both locals and tourists should easily be able to find a competitive game to bet on at any time throughout the year. Illinois is home to two MLB teams, an NBA and WNBA team, and one each in the NFL and NHL. The following are the major league franchises located within the state of Illinois. Any credible bookmaker should offer odds on these games, and you shouldn’t have trouble finding friends or co-workers willing to take some action. In addition to the nationally and internationally known franchises listed above, the state of Illinois is also filled with a wide array of semi-professional and minor league teams. Some of these are affiliated with smaller sports leagues, while others serve as farm clubs for professional organizations. While finding betting lines may be more difficult, you should always be able to fall back on local fans for some action. If you’re interested in NASCAR, IRL, or CART racing, I’d also suggest checking out the schedules at the Chicagoland Speedway in Joliet, the Gateway International Raceway in Madison, or the Chicago Motor Speedway in Cicero. 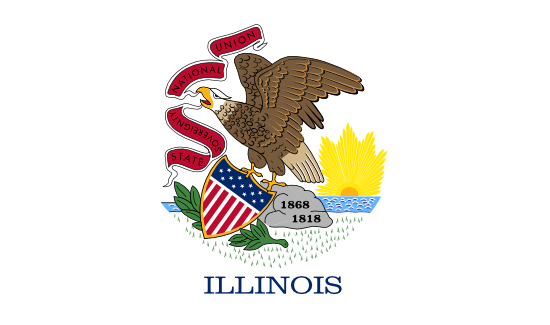 State laws and the federal statue known as the Unlawful Internet Gambling Enforcement Act conspire to prevent Illinois residents from getting online and doing business with a virtual sportsbook. Luckily, these laws are designed to punish those who profit the most, so the average citizen doesn’t have to worry about a police raid over a few Internet bets. While the majority of the leading online casinos, poker rooms, and sportsbooks withdrew from the U.S. market following the passage of the UIGEA and subsequent raids by the Justice Department, a few brave souls remained behind. Some of those still in operation are substandard or outright scams, so I suggest doing a respectable amount of research before opening an account. • Bet with a Friend – Long before bookies ever existed, people were betting on contests with their friends and co-workers. This method still works just fine, and you don’t have to fool with complicated point spreads or a vig. Just make sure to only wager with those you trust to pay, as someone welching on a bet is sure to cause hard feelings. • Local Bookie – These are men and women who live in your area and operate under-the-radar bookmaking operations. Be discrete if you decide to ask around, and make sure they can be trusted to pay out winnings before placing any sizable wagers. Sports betting is illegal in Illinois, but that’s only a minor impediment for those wishing to wager on their favorite teams. Underground bookies can be located throughout the state on a word-of-mouth basis, and there are still a number of online bookmakers who are willing to defy the UIGEA and accept players from the United States. As is usually the case with sports wagering, the toughest part involves analyzing the line and trying to predict which team can beat the spread. If you can manage to do that with any degree of consistency, a few local laws won’t be any problem at all.